Mark Danai was all in preflop holding [4s][4c] and was up against [Ah][Kh]. The flop brought a king, and Mark failed to find a four on the turn or the river. He will be eliminated in 16th place, good for $6,610. 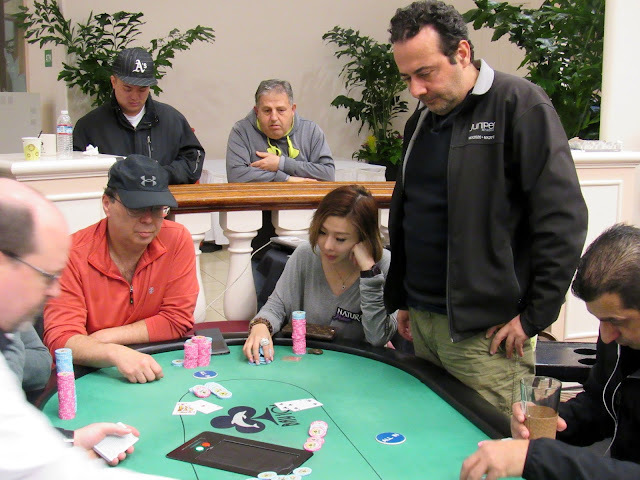 Also earning $6,610 are Haixia Zhang in 17th place and Kumar Sripadam in 18th place.